William Shatner will boldly travel across the U.S. on a three-wheeled motorcycle. The "Star Trek" star announced plans Monday for the cross-country mission to promote his custom trike and raise awareness about the American Legion. "I am taking another step into the unknown," the 84-year-old actor said in a statement. Shatner partnered with motorcycle builder American Wrench to create the Rivet motorcycle. The Aurora, Illinois-based company said the silver studded bike is inspired by the B-17 bomber. The eight-day journey will launch June 23 outside Chicago and make stops in St. Louis; Kansas City, Missouri; Oklahoma City; Amarillo, Texas; Albuquerque; Flagstaff, Arizona; and Las Vegas before arriving in Los Angeles on June 30. 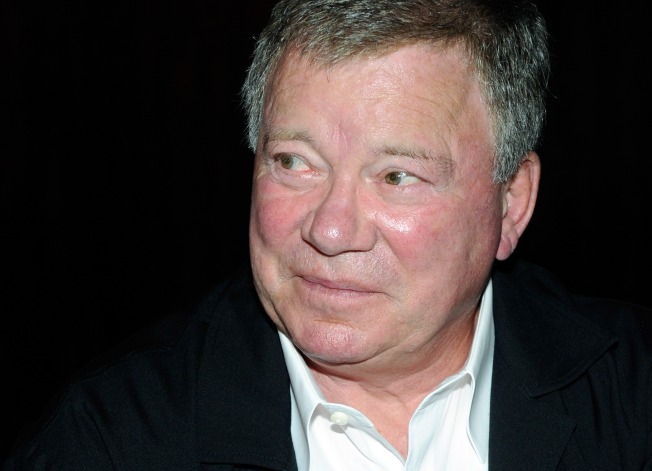 Shatner will be joined on the 2,400-mile ride by members of the American Legion and American Wrench crew. The company is planning to sell limited quantities of Shatner's trike. American Wrench describes the Rivet as a "landjet" that will feature a V8 engine and an exposed cockpit with seating "only for a captain."